Thanks for coming! Don’t be a stranger! We’re here every day. We have a few tips we’d like to share on how our site works. It’s true: we publish every single day. 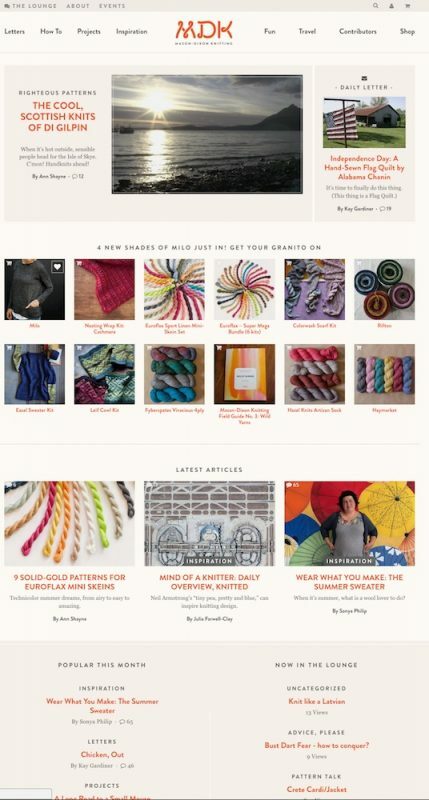 We believe there is something interesting to share with you all the damn time, so we pride ourselves on bringing you the world of knitting in all its glory—patterns, yarns, books, how to, even more yarns, and goings on in the knitting world. 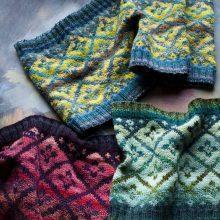 We publish early every morning, and many knitters tell us that we are the first thing they read every day. 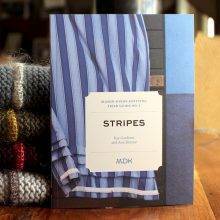 If you read MDK consistently, you will develop an excellent understanding of what is special in the knitting world. 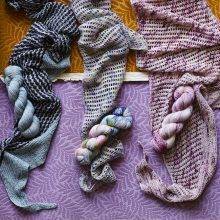 You’ll see the most extraordinary patterns, meet the most interesting designers, and learn about yarns that are unusual, rare, and gorgeous. 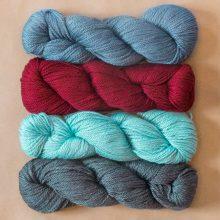 You can shop for these yarns, too. The Home Page gives you a view of the latest things happening on MDK. The Big Thing of the Day is up top, along with the Daily Letter. The latest Shop offerings appear right under that, as well as Latest Articles. Popular This Month shows you the hottest articles, and Now in the Lounge features the latest topics under discussion in our forum, The Lounge. 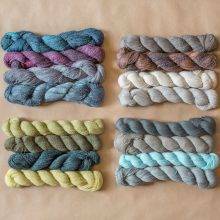 And knitters’ Instagrams round out the Home Page—when you tag #mymdk, you may see your photo there. 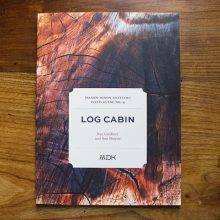 Yes, MDK is an online magazine and also a shop. When you see something in our Shop, it’s because we think you’ll like it as much as we do. 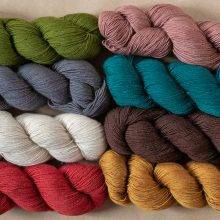 Sometimes we’ll discover a beautiful yarn at a fiber festival, write about it, then months later, we manage to snag a batch of it for the Shop. The goal for the Shop? 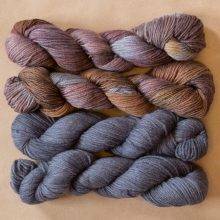 To bring you great surprises, the perfect match of pattern and yarn, those skeins you can’t find anywhere else. Across the top of every page are our Departments. See them up there? Letters, How To, Projects, Inspiration, Fun, and Travel. Our favorite thing to do is simply to open up a department and start wandering. 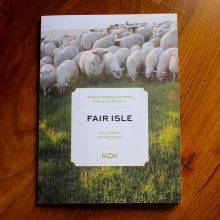 There is a ton of beautiful stuff to see on MDK—hundreds and hundreds of articles on everything from sheep shearing on Nash Island to how to make a French knot. Inspiration is a huge department. Projects covers knitting projects in process. Be a fly on the wall as we dig into making a project. 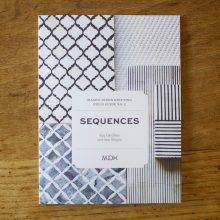 Righteous Patterns is where you’ll find our roundups of choice pattern ideas. 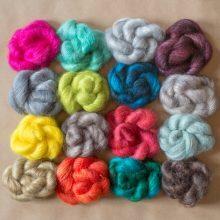 And Yarns to Love is our never-ending reporting on our yarn discoveries. How To is home to tips and hints as well as A Year of Techniques, the amazing year-long program of free video tutorials. 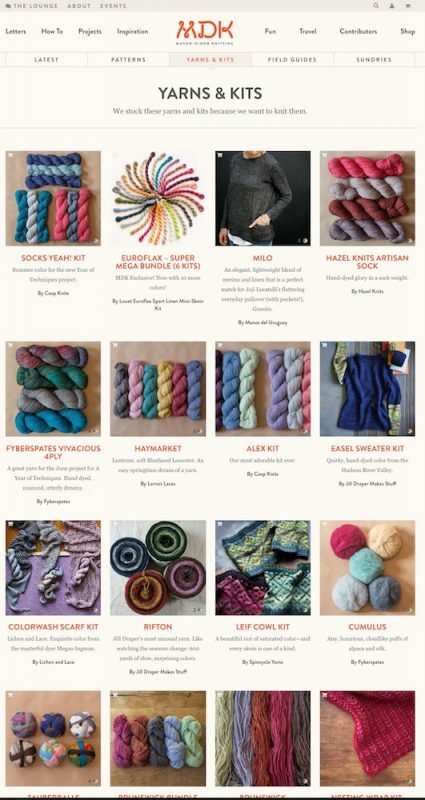 Fun is where you’ll find our picks for podcasts, TV, and movies—all essential parts of the daily knitter’s lifestyle! 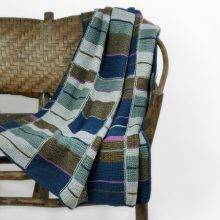 Travel lets us all go to the faraway places knitters dream of visiting. For many readers, our Saturday morning email newsletter, Snippets, is the best way to get a weekly overview of all that has happened in the previous week. 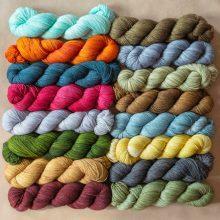 Snippets readers are finding that Snippets is where special yarn offerings are announced. 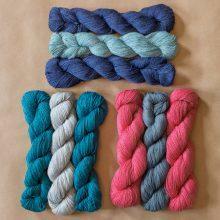 To be in the know and have first crack at new yarns, sign up at the bottom of this page. If you’d like to get an email from us each time there’s a new post (that’s every day, remember), you can subscribe at the bottom of this page when you subscribe to our Snippets newsletter. Just check the box to start receiving a daily dose of MDK in your email box. The Lounge is our online community forum. 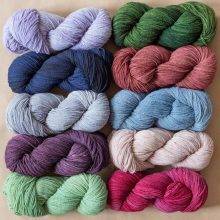 It has already attracted a wonderful group of attractive, well-put-together knitters with excellent taste and above-average IQs. ; ) Please take a look around—topics are all over the place. This is where we host knitalongs and conversations about articles on MDK. 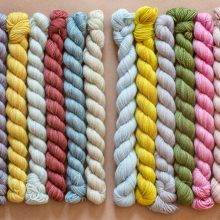 Once you register as a member of the Lounge (free, of course), you are welcome to create topics, so if you’re looking for a place where the knitting happens 24/7, the Lounge is a lot of fun. That’s all for now! Thanks so much for being a part of this. 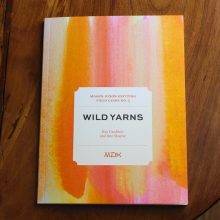 Special yarns and kits at MDK, plus our series of Field Guides, little books that explore the big world of knitting. Love everything you do! Thanks so much! Send the daily email please! Love your website and thanks for the great ideas and inspiration! I’d like your daily email as I’m prone to forgetfulness. See, I already forgot to mark the Notify box. Love everything about your site! These days I say, “I read about this on MDK,” almost as often as I say, “I heard about this on NPR.” Thank you for the website! Thanks for posting this. 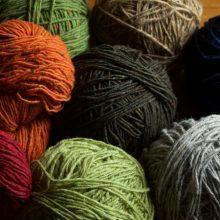 Your site has been an inspiration for not only awesome yarn but inspirational discussions. Welcome Newbies! I love the mix of things that appears here. 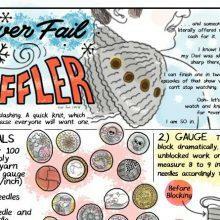 I forward bits to non-knitters too. More knitting, I may take early retirement yet! I’m an old knitter but a newbie with you. Please send me the daily email. Thanks! 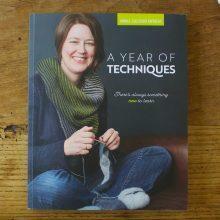 I just got your book ‘The Curious Knitters’ Guide’ from the library – I love it! I’d like to receive your daily emails. Thanks! 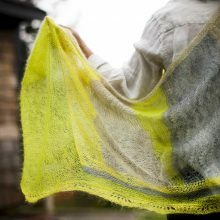 I’m grateful for the time, energy and passion you have put into MDK- it’s a knitting place like no other. 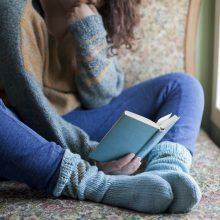 its more than knitting- I especially appreciate the self care and cooking articles. You guys are geniuses, and I feel lucky to be one of many beneficiaries of that genius. Thank you, thank you Ann and Kay. You make me smile everyday. Love love love you two! 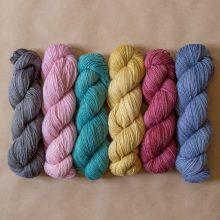 I refer to y’all so often in conversation that dear hubby thought for a while you were members of my local knit group. I think he was a little stunned that you didn’t show up in pix of our Knit in Public event! I organized my stash yesterday and was surprised by the large number of MDK yarns everywhere — lots of remnants and yarns yet to be knit. Thanks for your hard work on the new site. Reading it is such a pleasant way to start each day. I am thankful for having come upon your website. It’s awesome. I’m looking forward to reading you regularly! Please sign me up for dailies! Yep, I stumbled and went down the rabbit holes, enjoying the journey! Thank you for being out there. Thank you! I’m a new reader is really enjoying your website. The original website had a feature that allowed reading all of the letters “from the beginning”, which was arranged chronologically. I can’t find that with the new website. If it’s here, how do I access it? If it’s not here, is there a chance that we’ll get it back? Thanks. Whew! I was afraid I was doing it wrong! I so enjoy snippets so would love to get daily tidbits. I do go to MDK every morning! Thanks so much for sharing your passions, smiling sun with sunglasses emoji! I’m glad I clicked the link on FB! I’d love to get your daily emails. Looking forward to starting my day with your emails. I’m grumpy in the mornings until I’ve had my coffee and MDK. This is a great explanation of the new website and I expect to have better luck finding older articles. I have followed MDK for a long time now, at least 10 years I think, and it is a great way to start the day. Keep up the great work!! I would like to get your daily posts. I love your site. I’d love to get your new posts every day! I hate to miss out on anything so guess I need the dailies, please! Please send me the daily news posts! Thanks! So enjoy ur books, and now I can get lost on ur site for hrs at a time! Tnx. Please sign me up for the daily email! Thanks. Your Saturday emails start my weekend with a bang – now to get the dailies. Thanks for the tips, entertainment, and love of knitting. Look so forward to the Newsletter every Saturday. one if my favorite sites. I had been a long time reader but (and this is kind of embarrassing to admit) can’t seem to find the feature I want most – which is how to page through the letters in simple chronological order – so have largely given up. Sort of hoped the How-to Guide would tell me. Oh well. I do miss you guys, so if another email notice is the way to go, sign me up. As much as I enjoy your new website, I miss being able to scroll through the columns in chronological order. I will often remember something that was written in a previous week–but then am unable to find it. Love to receive daily emails. Please send the daily email. This is the most awesome site ever!! Yes, please send mail daily! I’d love to get the daily notification. Keeps me on top of it. Or I’m just too lay to go find the bookmark myself. 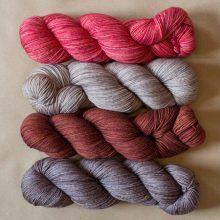 The yarns are beautiful, excited to find a new place! I love every Saturday morning’s snippets. Please send me daily emails. Love this site. Please add me to daily email. Please add me to daily email list. Please send me daily emails. 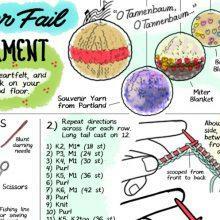 Always fun to read about fibers and how to play with them. 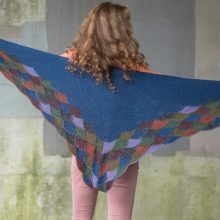 Have loved MDK for years and made more than one garter stitch patchwork blanket. Completed the Hadley pullover with you and had a wonderful time!! I’m ready for the daily newsletter and more good times!!! Please send me the daily email. This is so much fun! Thank you for inspiration…. I would like to receive your daily posts. Send daily emails – please. What a great way to start the day. Sign me up please! Love getting Saturdays Snippets! Want more!!! I’d love to have the daily email. I can read it right after the weather and the daily poem from the Writer’s Almanac. Thanks for Snippets. You guys rock. Love what you do for the knitting world! Long-time fangirl here, going back to when you started the MDK blog. SO glad to rediscover your voice and see how MDK’s evolved. Snippets makes my Saturday mornings, looking forward to following along with everything new MDK. Congratulations! Love your Snippets. Hope to receive your daily updates soon. Yes! I wondered why I wasn’t getting the daily nudge anymore. Now I won’t have to binge on Saturdays! I’ve been feeling guilty about neglecting my knitting lately (like there’s nothing more logical to beat myself up about); reading you guys is the next best thing, and every day is even better. Somewhat along the way, I lost my daily MDK! My days will now be complete with your posts. The American Flag quilt is beautiful. I receive your weekly letter and enjoy every comment,suggestion and picture. Love the wealth of information! Please make my day and send me Daily Posts! Love your weekly. Please add me to the daily email. Sounds good! Ready to learn something new! 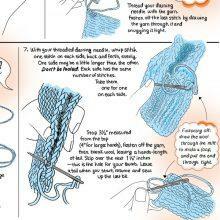 Your first MDK book was my first knitting book. Excited to read more MDK! Thanks….looking forward to seeing what you’ve got going on! I’m glad I’ve found this. It looks like knitterly fun. 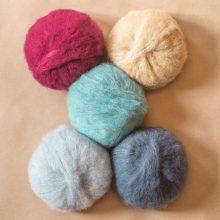 Silly mistake…I wanted the latest field guide for the slip stitch hat. Ordered through the shop this morning and don’t know where to find it! Should have hpjust ordered through Ravelry, at least I know how that works. 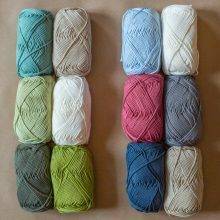 I have always been a “weird kid “ and I enjoy knitting gauge swatches, starting with one size , knitting a few rows, putting in a purl row, changing needles and you get the picture. 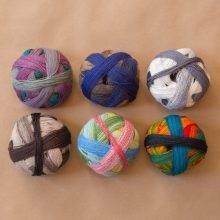 Knowing your yarn before the project is helpful because it’s just play after all and not brain surgery. Last year at Knitting with Friends (Bainbridge Island, WA) I sat next to this nice lady at dinner. We struck up a conversation about knitting (of course) and as it progressed I finally asked her name and what she did for a living. To my surprise, I was sitting next to Kay. What a fun evening. Poor woman, by the time dinner was over I had done my best to pick her brain empty of all valuable knowledge and I’m sure she wanted to run screaming from the dining hall . I have enjoyed Snippets every Saturday. It’s my morning of complete “me time”. Thank you both for providing such a great place to come and enjoy our craft together. Please send your daily email! You always inspire me! Hi Ann and Kay. I’ve been receiving and loving Snippets for a long time but don’t get the daily newsletters. 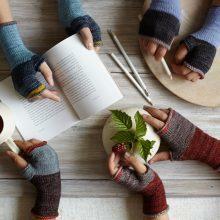 Please sign me up-love MD Knitting!! I’ve been a reader/follower of Mason Dixon Knitting for a while and I appreciate the Manual introduction. Now I’m sure to be getting the most of your awesome world. If fact you’ll find me in the Lounge as I explore the Bullet Journal with you all. Please send the daily email. Sign me up for the daily email please .